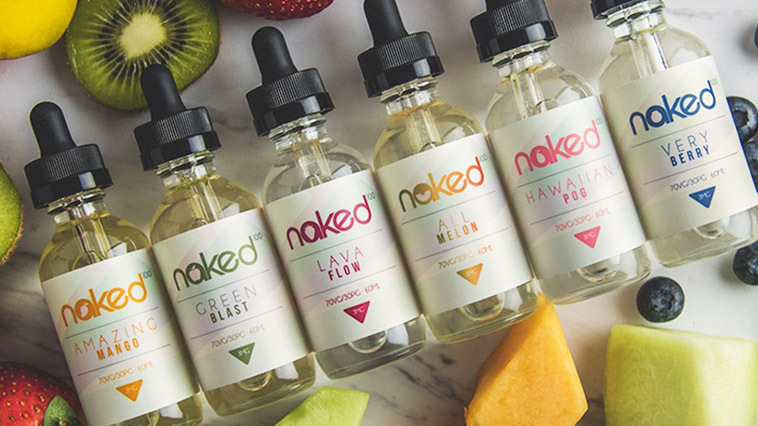 The Naked 100 brand is one of the many long and storied premium vape juice brands to come out of the Southern California vape industry. The company first launched The Schwartz in 2014 and captured a cult audience, other brand dominated. After the success of The Schwartz, The Naked 100 brand was launched in 2016, Naked 100 quickly catapulted to the A-list of vape juice brands. Naked Vape Juice opened up with a laser target of natural tasting fruity blends made with a signature yogurt cream blend. Their dedication to research and development put them ahead of the competition right out of the gate. 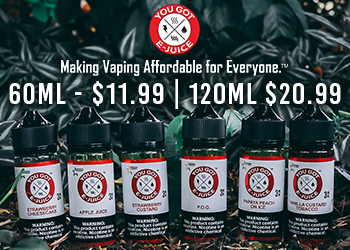 Then they partnered with USA Vape Lab out of Surf City Huntington Beach, CA which became one of the most successful manufacturing and distribution of vape juice, in the vape industry to date, Naked 100 was most recognized for outstanding consistent flavors, and robust distribution. In 2018 Naked 100 released Nicotine Salts NKD 100, the original flavor blends in Nicotine Salt form was an instant success. Naked 100 Vape Juice continued to add more flavors to there original line-up of yogurt blends. The brand released their cool menthol collection which was an instant success. Right after they released their Tobacco series, and again vapers worldwide embraced the classic and robust flavors they offered. Naked Vape Juice continues to add to their collection year after year. 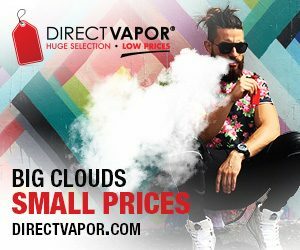 Additionally, the brand has added Nicotine Salts, branded under NKD 100 which again was an instant hit among the ever changing vape industry. Along the way Naked 100 Vape Juice has been credited for using natural extracts and a glorious signature yogurt cream instead of diacetyl, ethyl maltol and sucralose sweeteners. Simply put Naked 100 flavors deliver natural flavors that provide thick clouds and consistent flavors. 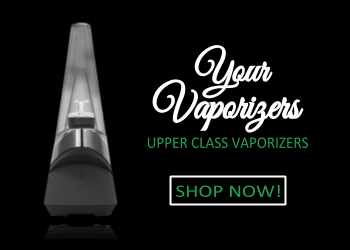 The truly unique extractions paired with high-grade VG makes for a high-quality vaping experience that no other brand has matched to date. With the release of just about every flavor profile ranging from sweet candy flavors, fruity flavors, sweet and robust tobacco flavors, ice cool menthol flavors, Nicotine Salts (NKD 100) Naked 100 has something for everyone. If you are looking for an excellent vape juice that will provide you the most enjoyable vaping experience, look no further than Naked 100 and NKD 100. Delivering only the highest quality vape juice products for your vaping experience, Naked 100 is a trusted brand. The intense mix of mouth-watering sweet cantaloupe, fresh watermelon and ripe honeydew, than expertly crafted with Naked 100’s signature rich yogurt cream. The perfect balanced tropical flavors will make your taste buds go wild. The mango, peach, and cream smoothie e liquid translates it into portable form, with a sweet, and creamy profile, a perfect choice as an all-day-vape. On the inhale Naked 100’s Amazing Mango vape juice, your tongue will be stricken by rich ripe mango flavor. On the exhale, subtle peaches, mango and Naked 100’s signature rich yogurt cream to provide a flavor combination that hits every spot on the palate. If you use Salt Nicotine, that are strictly intended for low voltage pod systems, that taste exactly like the original Naked 100. The blend of apple, kiwi, honeydew and cream that results in a wicked fruity blend unlike anything you’ve ever experienced. On the inhale, naked e juice Green Blast fills your craving with crisp green apple and fresh honeydew. On the exhale, kiwi flavor and Naked 100’s signature cream leaves your mouth-watering, making you crave for more. Also available from there NKD 100 Salt nicotine collection. NKD 100 taste exactly like the original version, Nicotine Salts are intended for low voltage pod based systems. Hawaiian POG vape juice brings the tropical islands straight to your taste buds, the smooth, refreshing and delicious blend of natural freshly squeezed orange juice, passion fruit’s sweet and tart nectar and the mellow fruit and creamy guava than topped off with Naked 100’s signature cream, this Hawaiian blend will enchant your soul. Delightful down to the very last drip, Naked 100 Hawaiian POG is truly the year round vape for those looking for a perfectly balanced all-day-vape flavored ejuice. The NKD 100 version of Hawaiian POG is a replica of the Naked 100 brand, branded under NKD 100 Hawaiian POG. The enchanting tropical island flavor blend, made with ripe sweet strawberries, coconut, and pineapple captivate the taste buds. On the inhale, Naked 100 Lava Flow provides fresh strawberry, coconut, tangy pineapple floods your mouth tingling your taste buds. On the exhale a sweet smoothie cream of all three flavors leaves your mouth watering making you crave for more. Naked 100 Lava Flow is available with Nicotine Salts, made for low voltage pod based system, under the name; NKD 100 Lava Flow. The explosion of sweet, fresh blueberries bursting with flavor fused with rich complexity of blackberries, topped off with a lemons and drizzles of sugar. Sweet with a subtle hint of tartness. With each inhale of Naked 100 Really Berry will make your taste buds singing for more. The Salt Nicotine version is branded under NKD 100 Really Berry taste exactly the same as the original version. The refreshing flavor of Naked 100 Brain Freeze is on a whole new level, featuring perfectly fresh picked ripe strawberries and crisp kiwi, blended with juicy sweet translucent red pomegranate fruit, than served ice cool, the menthol will absolutely tingle your tongue. Brain Freeze is made with perfectly blended ingredients that provide taste combinations that we can enjoy for hours on end. Brain Freeze is available for pod based systems, branded under NKD 100 Brain Freeze. The perfect tropical ice refreshment, formerly known as Naked 100 Polar Breeze (Formerly Frost Bite) is a twist of sweet and tart pineapple, rich slicers of cantaloupe and sweet slicers of honeydew, blended into an ice cold satisfying fruity frozen treat. On the inhale, Polar Breeze delivers smooth and creamy tropical fruits blended with ice cool menthol that will instantly soothe your mouth. On the exhale, a satisfyingly cool refreshing taste that will make your mouth sing. Also available from NKD 100 Salt Nicotine. Very Cool is the blend of blackberries, blueberries and raspberries and sweet honey, the perfect balance of sweet and tang, than topped of with cool ice twist. The cool ice flavor is available for low voltage pod based systems, NKD 100 Very Cool delivers wild fruity berries blended with an ice cool menthol twist. Formerly known as Cowboy by Naked 100, the tobacco flavor takes you on a ride with a classic tobacco cut, the rich tobacco vape juice will take you on a journey to the old west. On the inhale of Naked 100 American Patriot Tobacco ejuice, the smooth tobacco delivers an impressive robust authentic taste of tobacco with hints of caramel. On the exhale, the flavor of caramel bourbon electrifies the tobacco satisfying your cravings. The Nicotine Salts version is under NKD 100 American Patriots is also available for low voltage pod based systems. Naked 100 Tobacco Cuban blend is a flavorful, medium bodied, and aromatic, with an expertly crafted with the Caribbean’s finest tobacco flavoring to create a complexion of smooth and subtle sweet flavor profile with a tantalizing aroma, made to order for those looking for a standout all day tobacco vape. Naked 100 Tobacco flavor Euro Gold is the most popular tobacco blend that Naked 100 offers, with a flavor profile that has been crafted to create a smooth tobacco vape that features Naked 100’s best light tobacco blend the brand has to offer. Nostalgic tobacco flavor that is blended with hints of honey. Straw Lime (formerly Berry Belts) is the classic strawberry sour-belt to entirely new dementia, Naked 100’s Straw Lime balances the sweet and tart goodness of strawberry candy sour-belts, dusted with sweet sugar and sour sugar than finally a touch of citrus for a flavor packed vaping experience. Green Lemon (formerly Sour Sweet) is a seductive lime infused candy, layered with the perfect balance of sweet sugar and sour sugar. Naked e juice Green Lemon is sure to make your taste buds scream, without the cavities. On the inhale, Naked 100 Green Lemon vape juice lemony tart that gives your mouth jolly delivering intense satisfaction for sweet tooth craving lovers. On the exhale, the sweet flavors intensify, balancing the sour notes giving your sweet tooth a punch making your mouth pucker with goodness. You will absolutely fall in love with this addicting lime candy vape juice. Yummy Strawberry (formerly Yummy Gum) is the mouthwatering taste of strawberry bubble gum, with sweet and juicy strawberry flavor touched with the smoothness of bubble gum packed into each and every puff. On the inhale of Naked 100 Yummy Strawberry ejuice smacks the palate with tangy and sweet strawberry notes. On the exhale the flavor of sweet strawberries floods your taste buds with delightful goodness. Naked Unicorn Ejuice is crafted perfectly with a luscious strawberry flavor base and accented with ultra-creamy notes. Naked 100’s Unicorn is the perfect choice for strawberry cream lovers. On the inhale of Naked E Juice Unicorn Milk, the vape juice provides a burst of ripe sweet strawberries and fresh cream. When you exhale, Naked 100 intoxicating signature luxurious cream guarantees to hit the spot. Azul Berries is brilliantly designed to create an ultra-strong blueberry profile with hints of tarty raspberry, while complimenting it all with Naked 100’s signature creamy base. Go Nanas is handcrafted to perfectly recreate an ultra-creamy base topped with fresh banana slices. Your mouth will sing with the natural flavor of ripe bananas. While you inhale, Naked 100 Go Nanas immediately burst the taste buds with the mouth-watering flavor of smooth, cream bananas. While you exhale the flavor is rounded off with a perfectly balanced cream. Berry Lush is a distinctive flavor of a crisp kiwi and a perfectly sweet strawberry then this fruit mixture is layered upon a rich cream that adds a perfect richness. On the inhale, Naked 100 Berry Lush vape juice, the tropical combination of pineapples and strawberries makes your mouth water. On the exhale, Naked liquid signature cream enlightens your flavor palate. Maui Sun by Naked 100 60ml vape juice is the distinctive taste of a wonderful tropical island combination of oranges, pineapples and tangerine. Your taste buds will wake up immediately thanks to a blend of natural citrus flavors. The all new Naked 100 Pod System is a closed pod system device for easy and convenience. The Naked 100 Pods System was created to be a satisfying alternative to traditional cigarettes. With its unique small form factor profile, simple interface and Naked 100 Vape Juice flavor variety, Naked 100 Pod System was designed for adult smokers. Accommodating cigarette-like nicotine dose levels, Naked 100 Pod System delivers the expectation of cigarette users looking to switch from traditional analog cigarettes. Unlike standard e-cigarettes, which use free-base nicotine, Naked 100 Pod System uses complex salt nicotine juice derived from the tobacco leaf. Naked 100 vape juice is available in a generous 60ml glass dropper bottles. 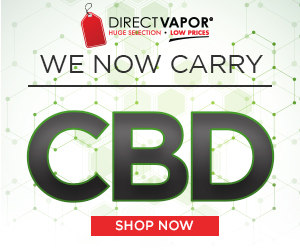 If you love ripe fruity vape juice flavors, ice menthol flavors, smoothie creams. 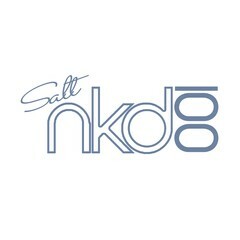 NKD 100 Salt is available for low voltage pod-based systems. 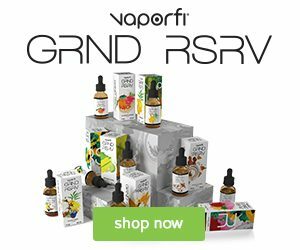 Have you experienced the top vape juice brand in the industry? Naked 100 Vape Juice brand has something for you, guaranteed to satisfy your vape juice cravings, no matter what the flavor is for.